It shouldn’t be surprising that our ancestors were not universally loved, even the most virtuous of them. Therefore, when we are writing a biography of an ancestor, how do we include their bad press? Watching the political race this season is a reminder that just because someone says something about the other candidate doesn’t make it true, but it very well might have an element of truth and we must address it. We need to be thorough reporters to make sure we get our facts correct and write a fair and objective summary of the event. We need to track every lead to ferret out the truth so that anyone fact checking us later won’t find something to contradict our description. Wow! I was a little startled by the language Zahm used in reference to Rev. McNair; it was the first negative description I have seen of him so far. I have to see what caused this reaction and determine if it indicates something more pervasive about Rev. McNair’s character. 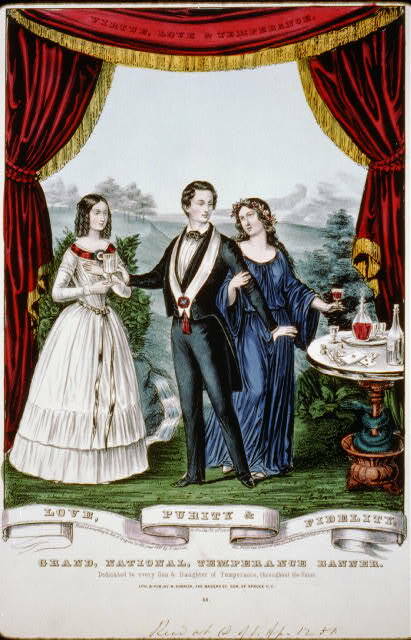 There was a Temperance event where both the Sons and Daughters of Temperance were in attendance. Supporters of both organizations were also members of different religious denominations in the community. Rev. McNair (Presbyterian) and ministers from other denominations declined to participate and/or speak at the event. One minister did agree to speak, Rev. George F. Bahnson (a Moravian minister). Though Rev. McNair had declined to participate in the ceremony, he attended the meeting. What questions should we be asking? Where should we be looking for the answers? What else should I research? Where else should I check? Of course, I might never be able to find additional information about this particular event, but I have to try. Remember not to ignore the negative observations about your ancestors, it might even make a richer story to include them. [i] Robert H. Goodell, “Matthias Zahm’s Diary,” Lancaster County Historical Society 48 (1943): 61-92, specifically 85. This entry was posted in Genealogy General, McNair Family, Writing Family History and tagged Mattias Zahm, Rev. George F. Bahnson, Rev. John McNair, Temperance Movement. Bookmark the permalink. I knew it! He was warped! You have never liked him…you were just waiting for him to fall from grace!